We are so fortunate to see spectacular WHITE PELICANS when they migrate to SouthWest Florida every year in the fall. Unfortunately, we found one injured or sick WHITE PELICAN while boating around the Out Islands of Sanibel and Captiva yesterday on New Year’s Day. Clark found him washed up to the shore line and saw he wasn’t even strong enough to flap his wings. Poor thing! But our friend John completely took charge and checked the bird for visible injuries or obstructions like fishing line caught in his feet or wings. You can see just how big this bird is while John inspects his wing. White Pelicans have an average wingspan of 10 feet. We could not see any physical injuries to his wings, neck or feet so we called Sanibel’s CROW (Clinic for the Rehabilitation Of Wildlife) to see if they could help. CROW First Responder Gareth wanted us to bring the bird (we named him “Whitey” by this time) in to see if they could help save him. So the rescue began… John held Whitey safely in his arms to get him back to the boat. Jane (John’s wife) and I admitted Whitey to CROW as their 4th patient of the new year where they took him immediately to the exam room to give him fluids and meds to stabilize him. Mother Nature will now decide his fate while the compassionate caregivers at CROW do their best to help him. I am so thankful he was only one out of the hundreds of healthy and stunning WHITE PELICANS we saw flocking around our islands yesterday who come back every year. They are a sight to behold! Yay John!! I will gladly lend my “Citter Saver” title to John for a while! We love seeing the white pelicans each year also and are amazed at their beauty. It seemed there were more this year. Hoping Whitey does well. I had a sick pelican in November at my house on North Captiva and called CROW in. What a wonderful way to start the new year by helping nature. Many would have passed it by, not brave enough to get involved. Your family and friends are a great blessing to Sanibel/Captiva, Love the island and love your post. An inspiring rescue to start off the new year! I hope it has a happy ending ! Thanks to all that helped! What a huge, gorgeous critter. So glad you were there at just the right moment, with the right people who knew what to do. A beautiful encounter. So glad to see I am not the only crazy person that picks up injured birds! Everyone I know (including my husband) thinks I am a lunatic! Such a great story! A few weeks ago I helped save a poor pelican that had gotten tangled in fishing line down here in Naples. Way to go John! Not a lunatic. Just walking the good walk with what comes your way. Thanks so much for posting. We live just a couple miles off island and their flight path for migration in the Fall is right over our house. I get so excited to see those majestic beauties fly over year after year! Wonderful! I will never forget the first time I saw the white pelicans! It was magical! The deep concern and care for the wildlife on and around Sanibel and Captiva is a big part of the allure the islands hold for us and a major reason we love to return year after year! My husband was a big part of a brown pelican rescue during one of our visits. Early morning, several of us noticed a pelican perched on a piling that was obviously in distress. Her mate was constantly paddling circles around her. At closer inspection we discovered she had plastic wound tightly around her neck. She has tried to swallow a fish and it was still in her neck. Her head was drooping and she was getting weaker and weaker. George and his fishing buddy went into action. Crow was called and we all watched as they tempted the pelican with a bait fish, all the while trying to keep her mate at bay!… George held the bait, and Jeff was finally able to capture her in a large fish net. They worked quickly to cut the plastic from her neck and the Crow rep took her to the center for further care. Before our visit to Sanibel ended we were able to go to Crow and check on her progress and found she was doing great and would soon be released to rejoin her mate! From that day on, I always pick up plastic, bits of discarded fishing line, anything that could cause distress to any unknowing creature! Kudos to those involved in the rescue! Hope the outcome was a good one… and even if the reason might have been the timely end of a beautiful creature, you all treated life with respect and dignity!…a lesson we should all follow! What a beautiful creature and what a beautiful story. Congrats, Great job to everyone. Those beautiful creatures are one of a kind. Boy someone knew who to send across his path that day. Best wishes to the heroes at C.R.O.W. as always & keep us all updated. What a wonderful way to start the New Year, rescuing a beautiful white pelican! Many thanks for your concern and actions from way out here in California. What a wonderful way to start the New Year, with a rescue of a beautiful white pelican! How well I remember them from my winter visits to Florida’s west coast. We were eating at a restaurant near Sarasota, one of the keys, I think, and sat at a window table looking out at the tables set outside on a deck. It was a bit too cold for people to want to sit out there, but along came 3 or 4 white pelicans who landed on the table and began knocking things around. The wait staff hastily rescued, not the birds, but the glasses and tablecloths and such. What fun to watch! Great photo story! I admire the bravery in reining in the great white pelican. I’ve heard enough stories about the Great Blues and Brown pelicans going after each other to the death, to know that they can do damage if they want to. You brought up an interesting point that I’ve never considered. How do you determine an adult bird’s age? I’ll be pulling for Whitey to make a full recovery so he/she can rejoin the rest of the flock! Bless you all, Pam! What a beautiful story!! I am so impressed with the people of Sanibel who are so loving and caring! You guys rock!!! Happy New Year to you & Whitey!!! How exciting! Don’t you wish the bird KNEW how lucky he/she is????? Amazing rescue story. I am sending a donation to CROW for “Whitey” today! How magnificent these White Pelicins are. The 4 of you have given Whitey the best possible chance of surviving. I think everyone here truly appreciates the love and care you have for the islands and their inhabitants. It’s nice to “know” people like you and Clark (and your friends). Please let us know how Whitey makes out. Awww..poor whitey. But he is gonna get all better thanx to his hero’s!! Great way to start your new year..saving a life!!! A sign of good things to come this year!! Pam- we have 4 more days til the shellabaloo!! We cant wait..especially now cause my hubbys new sporys car that we were gonna drive down in..literally just got smashed to hell last night! All people involved are okay, my daught er has mild wooplash but nothing that kept her from school today. But thats the car we are suppose drive down in…leaving tomorrow no less to get a few extra days in nefore Monday. Hubby’s been working with insurance companies all morning and we are gonna have a rental car now…hopefully its a good one. We are gonna go pick it up shortly! Now we are like..okay, we have had enough..can we leave now! Lol..
You two are really mother nature’s guardian angels!! What a great story!! nly learned a few years ago the white pelicans fly north to fresh water to nest and raise their young! After enjoying the antics of pelicans– both white and brown, in Florida during our winter visits, I was shocked to learn that the white pelicans actually nest on islands in the Great Lakes. I’ve lived all my life on one side of Lake Michigan or the other (Born a Yooper but my family says I’m a troll now ‘cuz I’ve lived too long under the bridge– sorry that’s an inside Michigan joke) and only learned a few years ago the white pelicans fly north to fresh water to nest and raise their young! You’re all heroes in my book!! wonderful story. please let us know if whitey is okay . . . I am just amazed how often Pam and Clark can be in the right place at the right time. I still believe Pam has special powers….How does she know where all the neat stuff is, shell piles, sawfish, unusual beach bling and now injuried birds. You are a wonder…..Thank you for all you do, hope Whitey is back to good health for the new year. Thanks to all of you!! Rescue sure cuts into a fun day but has its own reward. Three things we can all do is pick up trash such as fish line and plastic bags, donate to organizations such as CROW, (They do such great things such as rescueing birds, turtles, and bobcats.) and teach children the damage that trash does. A friend rescued a young Coopers Hawk from a trash bag. I wrote a short story about it for the kindergarten class in town. When I read it to these 5 year olds, they got it! They wanted to know why anyone would ever throw something out of their car that would harm wildlife. Pam you Clark and John are my nature super heros. think of how many hours she logs on the beach… Every day! Probably close to 365 days a year. that’s what I keep telling myself when I wonder why I haven’t found a Junonia in all these years. :) Before I found Pam’s blog, I thought people only found Junonias that were planted by the Chamber of Commerce! Haa! One other factor, she has a well trained eye from all of her experience! Heart Warming! No matter the outcome for the pelican he was helped…. Omg, I actually thought of that before, too! 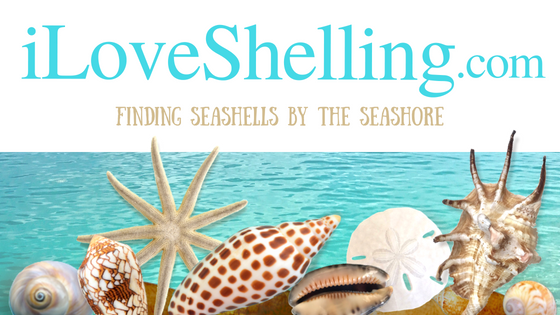 I wonder if some shells have ever been planted… Lol..
What a wonderful story! I hope Whitey is okay. I just do not understand people that throw trash on the beach or in the water. Makes me so mad!! Would love to hear what happens to Whitey!